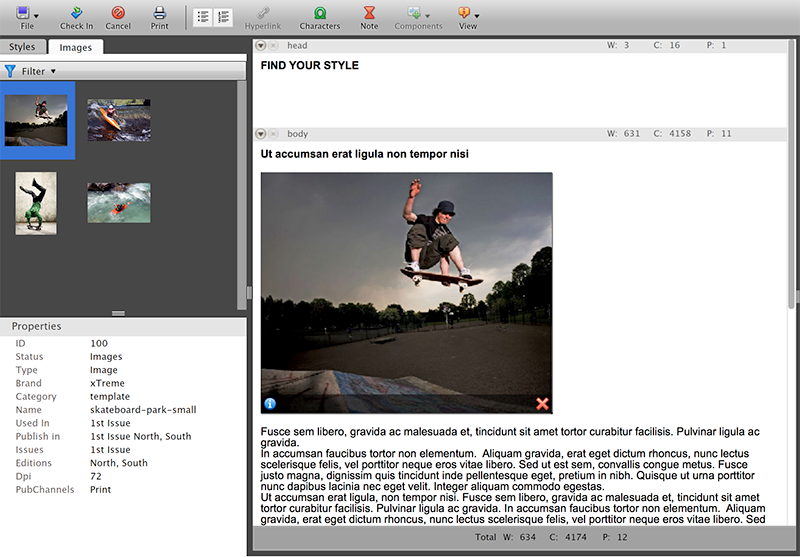 When editing an InCopy article in the Multi-Channel Text Editor of Content Station, inline images can be added. The Images pane is only shown when opening the article from within the Dossier. The Images pane is always shown, regardless of the location in Content Station from where it is opened. The Images pane only shows the images that are part of the Dossier from which the article is opened. When the article is opened from within a Dossier, the Images pane only shows the images that are part of that Dossier. When the article is opened outside of a Dossier, the Images pane shows all images of all Dossiers that the article is part of. To insert an image, simply drag it from the Images pane to a location in the text. Info: This feature requires Content Station 9.8.6 or higher. If needed, the inline image can be cropped. For more information, see Cropping and resizing an image in Content Station 9. Inline images are displayed at a maximum size of 250x250 pixels. This size is not related though to the size in which the image is published. Note: When using Content Station 9.8.6 or higher, you might want to control this size by using the Cropping tools. Step 1. 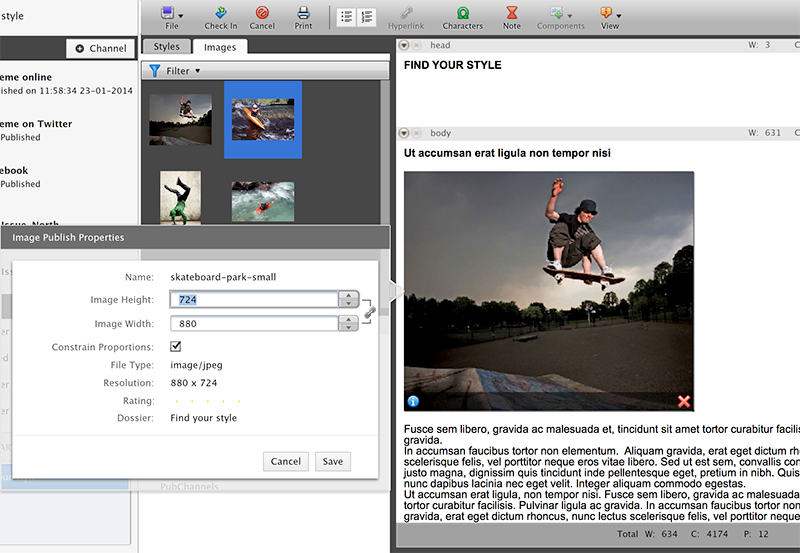 Select the inline image in the editing pane of the editor and click the information icon that appears in the bottom left corner. The Image Publish Properties dialog box appears. Figure: The Image Publish Properties dialog box can be used for changing the size in which the image is published. Step 2. In the Image Height and Image Width fields, change the size as needed. 4 September 2017: Updated section 'Before you start' with information about the working in version 9.8.12 or higher compared with earlier versions. 4 September 2017: Removed the Troubleshooting steps. 31 October 2016: Added information about image cropping.